Some recent pieces I wrote about segregation in the past few weeks got me thinking of how to express a particular feature of segregation I've witnessed in the Rust Belt, what one might call "diversity without integration", plays out in some cities. As quite a few people know, at the overall city level Chicago is about as diverse as any city in the nation -- the demographic makeup of the city is about 30 percent white, 30 percent black and 30 percent Latino, with various other groups making up the balance. But at any level lower than the citywide level, whether regional (North Side, West Side, South Side), or community (one of the city's 77 designated community areas), or neighborhood (numbering in the hundreds), you'd be extremely hard pressed to find a place of any size that has the same level of the city overall. Hence the term diversity without integration. Thinking about this brought me back to a story produced last year by Chicago Public Radio station WBEZ for their Curious City series. The premise of the series is great; listeners are given the chance to ask a vexing question about Chicago and WBEZ's team of reporters put in the research to find an answer. Sometimes questions address myths or urban legends regarding Chicago, or address conditions unique to the city. The story linked to above asked a simple but searing question, as it relates to this city: is notoriously segregated Chicago finally becoming more integrated? WBEZ did the analysis to find an answer. Their verdict? 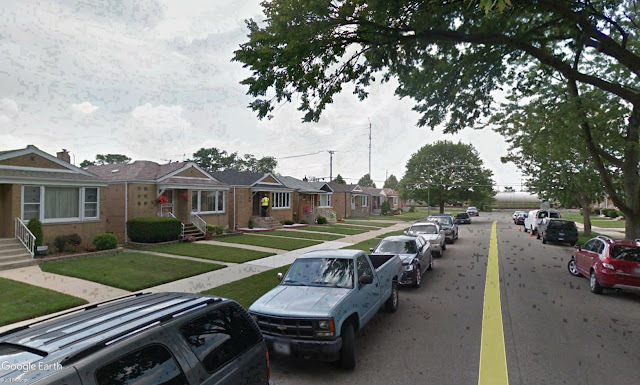 "Yes, Chicago is less segregated than it used to be. Curious City, in collaboration with City Bureau, crunched the numbers and found a slight decrease in segregation since 1990 — both on the citywide level as well as for individual neighborhoods. (T)he black-white index of dissimilarity in 2010 in Chicago was 82.5, meaning nearly 83 percent of the city’s black and white residents would have to move to a different part of the city in order to achieve integration across the city. But in 1990, it was 88.5, so there’s been a slight improvement." "Sylvia Puente, executive director of the Latino Policy Forum, says since the 1990s, the white population has declined on the Southwest and Northwest sides and it’s been replaced by Latinos. This has put Latino communities in closer proximity to black communities on the South Side compared to 20 or 30 years ago. In a way, Latinos are now a buffer group between whites and blacks. And that brings us to Ashburn, a community I know well (I used to live just to the east of it in the Auburn-Gresham community), and has undergone pretty significant racial and ethnic change since the 1980's. 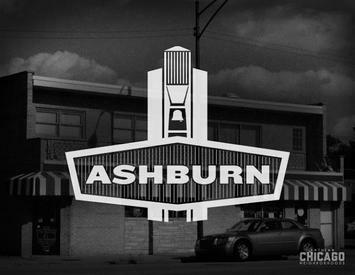 Ashburn is a community of about 40,000 people on Chicago's Southwest Side. It's part of the city but it has a distinct inner-ring suburb feel to it: comfortable single-family homes mostly built in the '50s and '60s. Ashburn sits just south and east of a major industrial area with dozens of manufacturing employers which made housing for those workers attractive. The main commercial corridor is 79th Street. The neighborhood has become home to lots of city workers and retirees, much like in the Mount Greenwood area I described before, about five miles directly south of Ashburn. But there are far more black and Latino residents here. In fact, WBEZ chose this neighborhood in part because Ashburn's current demographic makeup might make it the community closest to Chicago's overall makeup -- about 48 percent black, 36 percent Latino and 13 percent white. But this is clearly a community in transition, and WBEZ's report makes that clear. "If you visited Ashburn in 1990, more than four in five Ashburn residents would have been white. Now, it’s about half black, 38 percent Latino and 13 percent white. Ashburn’s white population declined rapidly after black people began moving into the area in large numbers in the 1980s. Today, whites continue to leave, and blacks are still moving in, along with Latinos." Ashburn appears to be a community that will be largely black and Latino soon, but that doesn't mean the two groups are necessarily integrating, either. 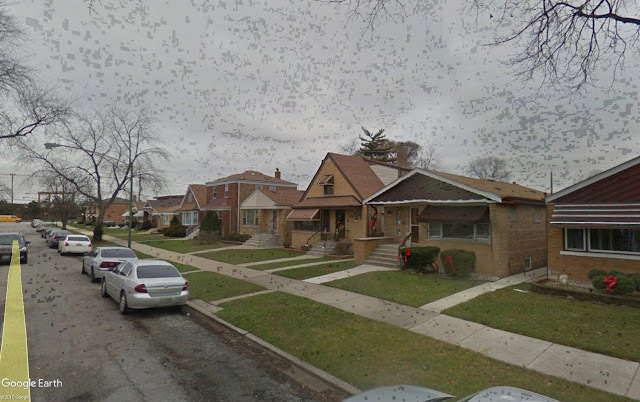 Ashburn is a roughly rectangular area stretching from Western Avenue on the east to Cicero Avenue on the west, a length of about three miles. Two miles in, going from east to west to Pulaski Road, Ashburn is mostly black. Beyond Pulaski Road Ashburn is largely Latino with the remaining remnants of its white population. And the two groups keep their distance. And that is how diversity without integration happens.